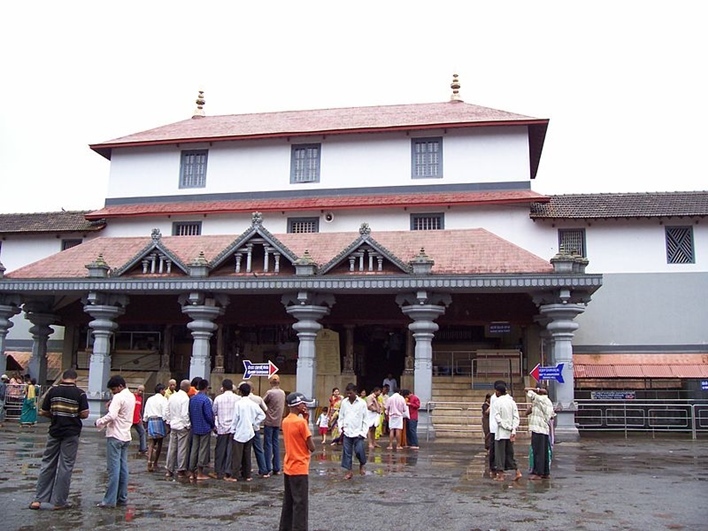 Dharmasthala, the beautiful temple town of Sharmasthala lies in the banks of River Nethravathi. To be precise, it is located in the Belthangadi district of the Dakshin Kannada region of Karnataka. It is a famous panchayat village that sees tourists and pilgrims with religious sentiments flock in huge numbers from the neighboring towns and cities. The sound of prayers, the essence of incense sticks and bells ringing in temples are like music to the traveler’s soul. Not just Hindu Gods, but a number of shrines of other deities can be found as well. Here, you will find Brahmin priests as well as Jain administrative units. Dharmasthala is thus, an epitome of religious tolerance. Legend has it that the famous Shiv Ling of the place was actually brought to the area by Annappa at the time he used to work with the Heggade family. Apparently, when the Heggade was worshiping Lord Shiva, Annappa promised to get a linga there and he vanished to complete his task. The next morning, people woke up to find the linga established just a few meters from the Heggade’s home. There is another interesting tale associated with the naming of the town. 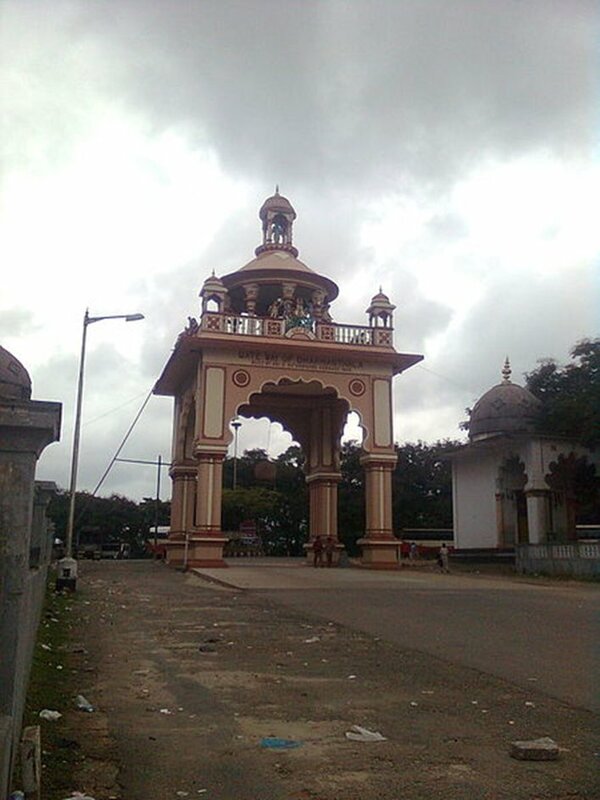 Somewhere around the 16th century, Shri Vadiraja Swamy was invited from Udupi by Shri Devaraja Heggade to visit the town. However, he refused to have food as the offering because Lord Manjunatha’s idol had not been erected yet as per the Vedic rituals. Shri Haggade asked Swamy to lay the Shiv Linga foundation himself. Seeing the commitments, rituals, and prayers around this, Swamy was impressed and he named the town Dharmasthala or the abode of religion and charity. As the name suggests, this temple is dedicated to Manjunathaswamy, who is believed to be a form of none other than Lord Shiva. Its pyramid-shaped roof is remarkable. You will notice gilded copper plates thatched above. Moreover, the kitchen attached to it seats 3,000 people and offers basic, free meals. Yet another elegant temple on the banks of River Nethravathi, the Ram Mandir boasts of elegant construction and marble idols of Lord Ram and Lakshman, as well as Goddess Sita. Year on year, the number of tourists it sees has only been increasing. Besides the 2 famous temples mentioned above, you must visit these temples as well including Shri Kshetra Dharmasthala, the Jain Temple of Bahubali, Shri Rama Kshetra and Southadka Shree Mahaganapathi Kshetra. It is is not just about temples. It’s also about some preserved elements in a museum. Take Manjusha Museum for example. 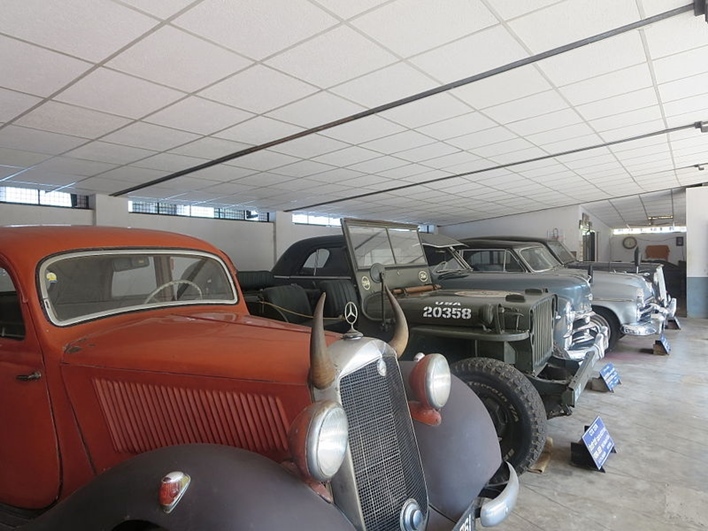 It houses vintage cars, objects of religious importance, antiques, chariots, artefacts, and paintings. The River lends its shores to beautiful temples. However, a part of the secluded barrage offers scenic views for visitors as well. It houses a nature care hospital on its banks. A system of five elements or panch bhoothas is followed here. People love shopping anywhere and anytime. Why should the temple town stay behind? While there aren’t any massive malls or dedicated shopping complexes, clothes, fresh fruits and vegetables and basic stuff can be bought by the roadside stalls and smaller stores around the town. Sometimes, the statues diffuse importance to the temples. In Dharmasthala, there are a few statues you must pay special attention to. The Bahubali statue was erected in the year 1973 out of a single rock and is 12 meters in height. On the other hand, the tall statue of Gomateshwara is amongst those that cannot be missed. Dharmasthala as such does not have a railway station. However, trains to the closest stations could be boarded. Yedamangala Station is just 27 kilometers away while the one at Kabakaputtur is merely 28 kilometers away. Mangalore Railway Station is at a distance of 74 kilometers and Bangalore City Junction Railway Station is roughly 295 kilometers away. The closest airport is Bajpe Airport of Mangalore at 155 kilometers and the next closest is Mysore Airport at 155 kilometers. Kempegowda International Airport of Bangalore is approximately 295 kilometers. If you want to drive down from Bangalore or Mangalore, they are situated about 295 and 75 kilometers respectively. If you want to board a bus, you can check the schedule in advance as most of the buses from major cities ply to Dharmasthala at frequent intervals.